Home Boxing Matthysse : "I'm thinking about knocking Pacquiao out"
Matthysse : "I'm thinking about knocking Pacquiao out"
35 years old World Boxing Association World Welterweight champion Lucas Martin Matthysse is not planning to win by decision, his plan is to KO Manny Pacquiao. Consulted on how he imagines the fight playing out, Matthysse said - "I imagine parts of the fight, I like that he is a fighter like me, we must be attentive and prepared, I know that my hands in this division feel stronger. I'm not thinking about the scorecards - I'm thinking about knocking [Pacquiao] out." Well, the fight will tough for Matthysse if this fight will end to decision, Manny's power and speed would definitely brings problem to Matthysse and would probably cause Manny to win by points. The only way Matthysse can win the fight is yes, to KO the old Pacquiao. 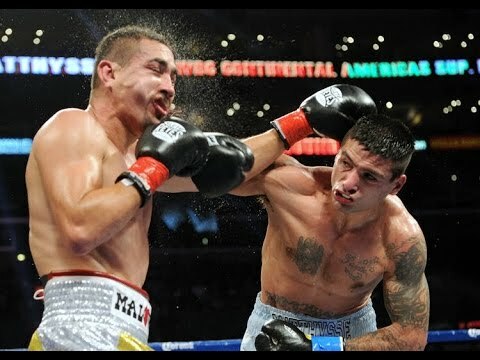 Lucas Martin Matthysse is one of the dangerous fighter in the welterweight division, in his 39 bouts, 36 of them were floored and badly hurt. Martin Matthysse previously became a world champion and now this is his first time to defend it against Pacquiao. Matthysse vs. Pacquiao will be held in Kuala Lumpur Malaysia on July 15th, 2018.